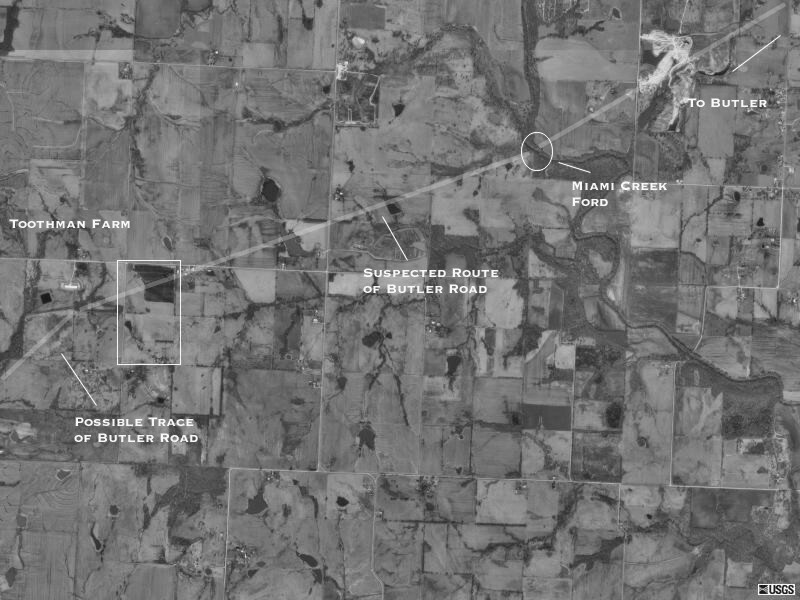 The Butler Road (as it was known in Kansas) or the Fort Scott Road was the main transportation route between Butler, the County Seat of Bates County, Missouri, and Kansas. A portion of the road exists today as Fort Scott Street in Butler. Captain Seaman's route of march was along this road.